If you are in cold place, like us, this week's Fabric Friday Giveaway will be sure to brighten your cold days. Click on the link to designer Melissa Ybarra's blog above to see picture of her booth at Quilt Market. Check out all the amazing projects designer Melissa Ybarra had sewn up in her lookbook here. 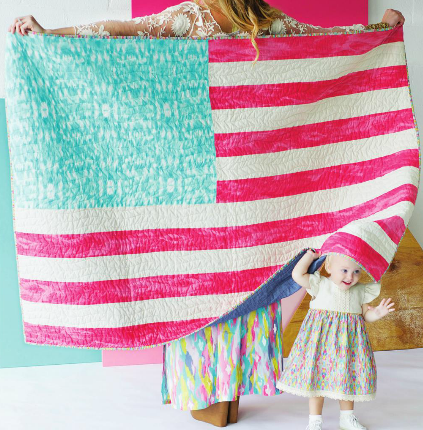 This beautiful patriotic quilt is available as a free project on the Windham Fabrics website. 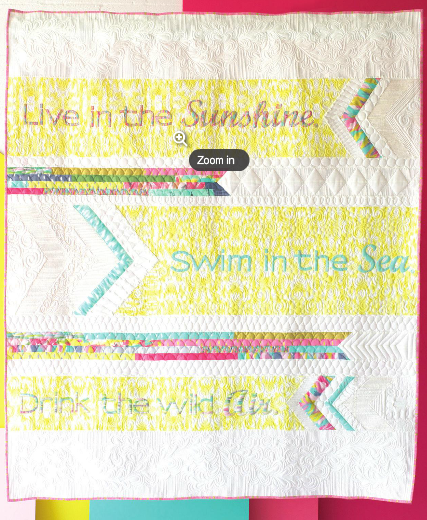 Find this amazing word quilt pattern on Erin Schlosser Designs. Tutorials for these great projects can be found on Silly Mama Quilts. 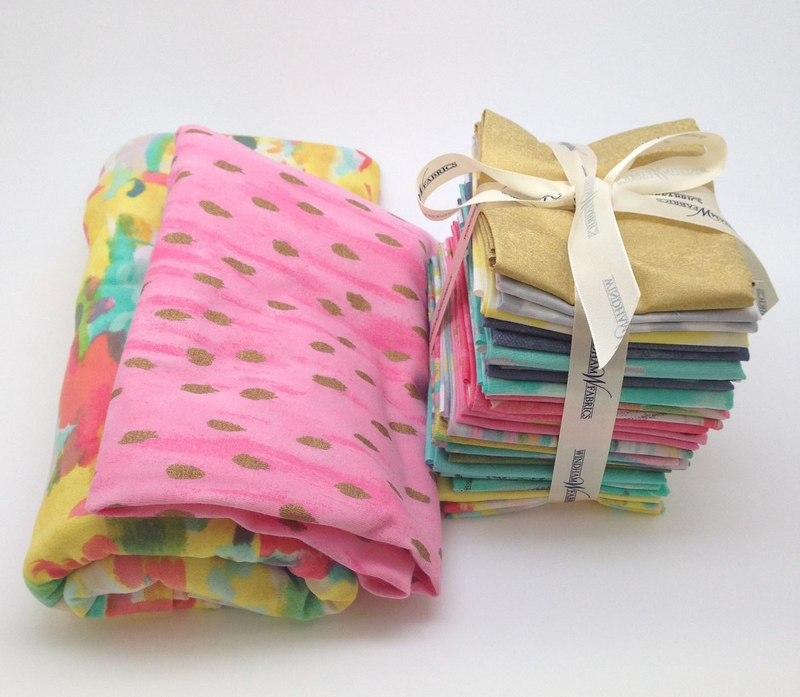 Leave a comment here to enter to win a FQ bundle of Sunshine Serenade and a few yards of the beautiful jersey fabric! Congratulations, Sara! 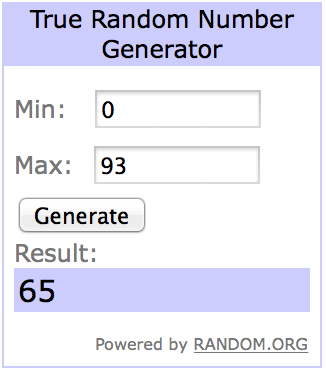 You are the winner of the Sunshine Serenade giveaway! In case you don't win, be sure to check out our store locator to find this collection in a store near you!! ← Winner of Fabric Fridays Giveaway of Snippits! Sunshine and Serenade is beautiful! Thanks for the chance to win. So pretty! Makes me feel like spring is right around the corner! These fabrics are so cheery, you have to love that in the cold dreary winter. Have a great day! i love these fabrics; i have p.j. plans for the jersey fabric if i win. Sure need some sunshine here. It’s -17C with a wind chill of -20C. Some bright sunshine looking fabric to light up the days would be wonderful. So bright and colorful. Love Sunshine Serenade! Lovely summery fabrics for those of us the bottom of the worls. Thanks for the giveaway. Loving the color combination….would love to win …. I love the colors on this set! The fabrics & quilts are very pretty. Thank you for the inspiration & hosting the give-away. Beautiful fabric! Its so bright and it reminds me of summer! Thanks for the giveaway! My daughter would love a dress out of that jersey! 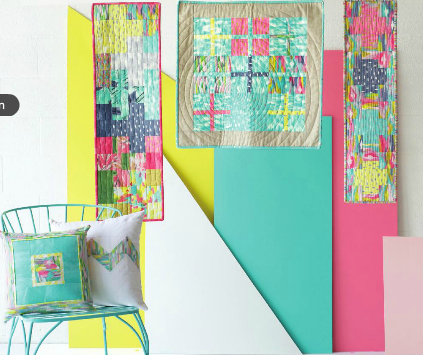 Would love to win a FG bundle of Sunshine Serenade and a few yards of the beautiful jersey fabric. Would make a quilt. I love that word quilt! What a lovely, sunshiney pattern! 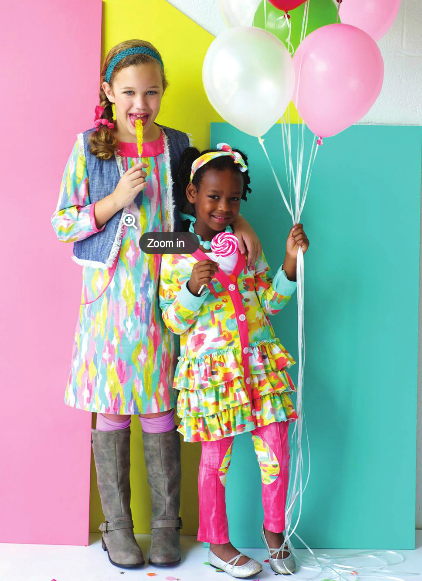 The children’s clothes in this fabric are darling! And so are quilts. What beautiful, versatile colors and designs. Thanks for the chance to win! Thanks for the chance to win these pretty fabrics! I’m very new to quilting but have been costuming for several years. Wonderful colors that reflect Melissa’s booth. Great looking dog, too! These fabrics are so pretty! I would use them to make myself and my mom new sewing bags! This fabric collection is just so cheery and cute! Beautiful colors in this line! Jersey fabric is something I’ve wanted to experiment with also. Some great summer colors. Please enter me. What absolutely BEAUTIFUL fabrics!!! Thank you for the chance, would be thrilled to win! The colors in this line are simply stunning. Silly Mama Quilts made some beautiful projects. Thank you. It’s gorgeous and so vibrant! I’d love to make something for my daughter to wear with the jersey! This fabric is so happy!!! I love it. Beautiful colors! I am a believer that anything goes with pink and in every shade of it. I could create many gorgeous pieces with this bundle! What lovely soft colours. Jersey fabric is so nice for tshirts and other clothing opportunities. What a thrill it would be to win. Oh that jersey looks amazing! This is just the collection I need to see when I have 12 inches (or more) snow outside my door! Thanks for sharing such a cheerful collection. Beautiful colors. Would match my daughter’s room so well. Love the fabric line. The ruffled dress is just great. Love this fabric!!! I would love to make the pillow, it just pops with color! Those are amazing quilts! such talent, and great designs. Love the polka dot fabric, too! It looks like sunshine to me, so pretty. I LOVE Sunshine Serenade! Pick me! Pick me!